American Idol Michael Lynche is a new breed of soul singer with completely classic influences. Undeniable charisma, well-crafted song arrangements, and a voice soaked in soul. 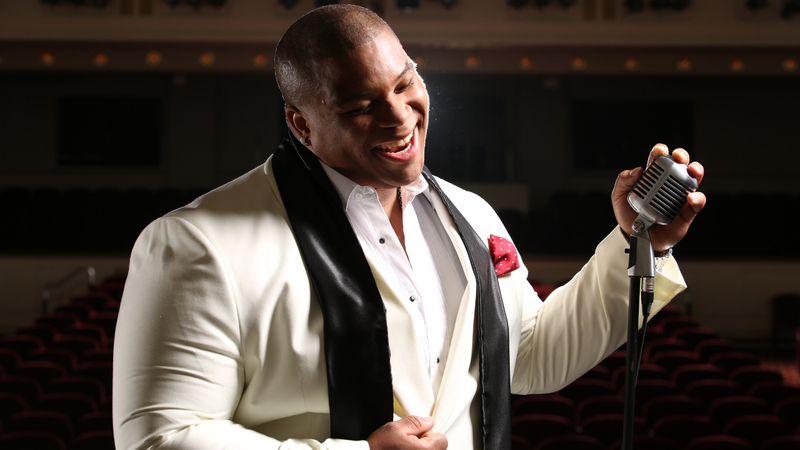 American Idol Michael Lynche is a new breed of soul singer with completely classic influences. Traces of Donny Hathaway, Al Green, Luther Vandross, Sam Cooke and James Brown all seem to flash in this uniquely talented performer. Undeniable charisma, well-crafted song arrangements and a voice soaked in soul give the big man class all his own. “Big Mike”—as he was known while winning over the hearts of a nation during his stint on American Idol—has talent so versatile, he’s played intimate jazz & blues clubs, 20,000 seat arenas and opera halls with 100 piece orchestras backing him. Through it all “Big Mike” has always had one singular goal: to spread a message of love wherever he goes. A New York City resident for the last 10 years, this Florida native rose from obscurity as a finalist on season 9 of the hit phenomenon, American Idol. After wowing millions of fans on American Idol with his comforting and powerful voice and performing throughout the United States as part of the American Idol LIVE! Tour, Big Mike has released 2 studio albums, toured as an opening act for Boyz II Men, Lalah Hathaway, Faith Evans, and Lyfe Jennings and recently took his show overseas for the first time to headline a tour of the Mediterranean. Since 2012, Big Mike has been a frequent featured guest vocalist with Maestro Jeff Tyzik and his hit show — “Let’s Dance!”. With the perfect repertoire to showcase his dynamic song range, “Let’s Dance!” has been performed with orchestras all over the US and Canada, including the Dallas Symphony, Utah Symphony, Calgary Philharmonic, Toronto Symphony and the Detroit Symphony Orchestra — where Lynche also was the 2016 New Year’s Eve Special featured vocalist. Tyzik has been an incredible mentor for Michael over the years, recognizing a passion and drive in the big man that has made his own career successful. The two have spent the last 2 ½ years collaborating on a new, sensational soul revue entitled “R&B Legends”. Truly a lifetime in the making, “R&B Legends” follows “Big Mike’s” journey and coming of age through soul music with songs of some of the most iconic R&B/Soul singers of all time. “Big Mike” comes with an inspirational story and a searing, soulful, one-of-a-kind voice. He leaves you breathless and wanting more when the night is over. This extraordinary vocal talent seamlessly fuses classic R&B, thoroughly modern urban grooves, and swoon-worthy vintage soul into a fresh, unique sound. Big, yes—and beautiful, too; Michael Lynche makes music that’s unforgettable.